"Tick, a rail thin sophomore, lugged all her books in a canvas L.L. Bean backpack and had to lean forward, as if into a strong headwind, to balance a weight nearly as great as her own. Oddly, most of the conventions Miles remembered from high school had been subverted. He and his friends had carried their textbooks balanced on their hips, listing first to the left, then shifting the load and listing to the right. They brought home only the books they would need for that night, or the ones they remembered needing, leaving the rest crammed in their lockers. Kids today stuffed the the entire contents of their lockers into their seam-stretched backpacks and brought it all home, probably, Miles figured, so they wouldn't have think through what they'd need and what they could do without, thereby avoiding the kinds of decisions that might trail consequences." --from Empire Falls by Richard Russo (page 20). One of the biggest changes of today's generation from the last is not necessarily the younger generations inability to pack, but it is our increased reliance on accessibility. The heavy backpack students carry is just a prequel to those generations reliance on Internet resources. As these students bring home their math, science, and history worksheets, they don't bring home these books planning to read them, but instead planning on digging out information when and if needed. The heavy backpack syndrome isn't necessarily as big of an issue as it was even ten years ago in many places as many schools have cut expenses by only having classroom book sets instead of issuing each student their own textbook. I'm sure the future of the online textbook is not very far away. But today each of us carries a very large backpack of accessible information. Some days I long for the drudge, challenge, and commonality of the library trip were you'd scour the shelves for information you might need or be interested in, but today it's all at our fingertips. With all of this information accessible to us, our giant backpack of information it is a blessing and a curse. As a blessing, there is so much information we don't need to know, but more than that no how to find. The curse is that we've subjected ourselves to second and third hand information. If I want to learn about anything, a Google search will point me in the directions of businesses and pay-per-click advertisers who are interested in my business and consumer purchase power, more than by informability. In the same way heavy backpacks have given kids spine problems, the ever expanded accessibility of information can be crippling to as this backpack of accessible information becomes increasingly filled with information that is hardly beneficial at all. The Palm d'Or winner at Cannes this year was the Romanian film 4 Months 3 Weeks & 2 Days (4 luni, 3 saptamini si 2 zile) directed by Cristian Mungiu. 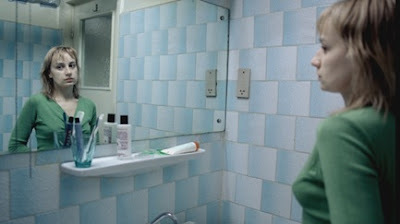 The film deals with two college roommates, one of whom (Gabita) is pregnent. Gabita's roommate, Otilia, goes to great lengths to help her friend get an abortion despite it's illegality in 1987 Communist Romania. 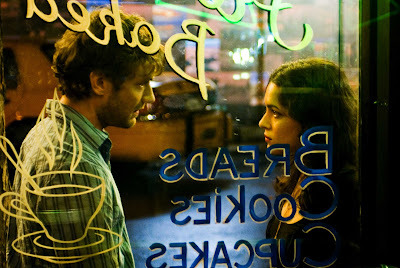 Other winners of Cannes films excluded buzz films "No Country For Old Men" (directed by the Coen Brothers) and the festivals opening film "My Blueberry Nights." The grand prize winner was Japanese director Naomi Kawase's "Mogari No Mori" (The Mourning Forest) about a retirement home resident overcoming loss (a popular theme this year it seems). Best Director: Julian Schnabel, "The Diving Bell and the Butterfly"
Best Actor: Konstantin Lavronenko, "Banishment"
Best Actress: Jeon Do-yeon, "Secret Sunshine"
Best Screenplay: Fatih Akin's "The Edge of Heaven"
In honor of the the 30th Anniversary of the release of the 1st Star Wars movie I pose a scenario. 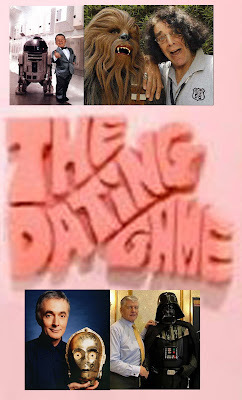 What if Chuck Barris put together a special edition of the dating game, circa 1977. In this episode, host Jim Lange interested four contestants(instead of the regular three). Now each of these contestants are typically masked, so as they sit behind the divided wall they sit in their typical anonymity. Now, whoever this lovely bachelorette is who get's to ask these 4 bachelor's questions is in quite a spot because assuming she is human from the planet Earth, not a Droid or a Wookie she will have a very difficult time interacting and asking these 4 Bachelor's questions to find out more about them. I'm not sure if Darth Vader's heavy breathing is a characteristic of David Prowse or James Earle Jones so that of course could make a difference. Which Bachelor do you presume a young lady would choose? Other Star Wars Anniversary Post can be found here. The film is Death Defying Acts, directed by Gillian Armstrong. Harry Houdini was born in 1874 to a Jewish family in Budapest although Houdini claimed he was born in Appleton, Wisconsin where his family immigrated to in 1878. His birth name was Erich Weise. He was one of seven siblings and his father was a rabbi. The Weise family eventually moved to New York City, upon which Erich (Harry) picked up a number of odd jobs, including an apprenticeship with locksmith. Harry began his magic career in 1894 as Harry Houdini. He shortly met his wife Bess (Wilhelmina Beatrice Rahner) who was also a magician and she became his stage assistant. Houdini billed himself as the "king of cards" at first doing a number of card tricks. In 1899 he made an elephant disappear in London with a pool beneath the stage. Shortly after he met Martin Beck who advised him to work on his escape tricks and booked him on the vaudeville circuit. Houdini's stagemanship became very impressive as he toured Europe doing a number of handcuff and lock tricks. 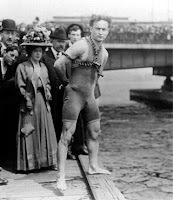 Houdini now had amassed enough wealth to live a good life with his wife in New York, and performing all over the world. In 1908 Houdini began tricks were he would lock himself in water filled containers that now carried with it, the possibility of death. He claimed he made his escapes by dematerializing. Over the years Houdini made many variations to these tricks. In the 1920's Houdini became a "ghost buster" of sorts trying to prove spiritualists, psychics, and mediums had no spiritual power at all, but were relying on tricks to fool people. He would often work covertly with police and reports to capture these people in their con. He also worked with Scientific America to challenge anyone to prove that they had supernatural abilities. In Houdini's book A Magician Among the Saints Houdini Chronicled his efforts to debunk the Boston-based medium, Mina Crandon. In his life Houdini also worked in and on a few movies. Houdini's films never amounted to any major success but he was later awarded a star on the Hollywood walk of fame. Houdini died on Halloween in 1926. It is generally agreed that he died of appendicitis but there is debate over the cause, and also whether that was his true cause of death. The upcoming movie Death Defying Acts occurs in 1926 in the later years of Houdini's life (he would've been in his early 50s). 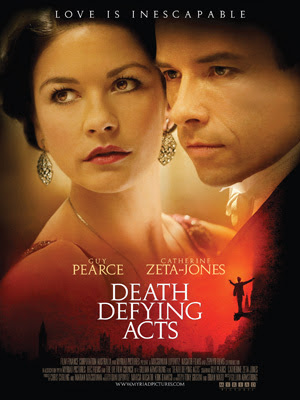 Along with Guy Pearce as Harry Houdini, Catherine Zeta-Jones plays Scottish psychic Mary McGregor who tries to con Houdini in a highly publicized seance to contact his dead mother. The film also features busy young British actress Saoirse Ronan, as the daughter of Zeta-Jones' character. Will this biographical film earn some critical awards attention this year for Pearce's portrayal of this Real (Reel) Person? In the world of controversial actions by musicians surely the Beatles saying they were bigger than Jesus is in one of the top slots. 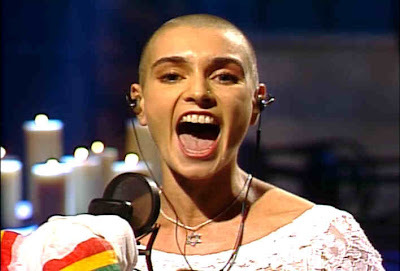 Not quite as high on the list, but certainly on the list would be when Sinead O'Connor in a 1992 episode of Saturday Night Live was singing the song "War" by Bob Marley, but instead of saying 'racism' she said 'sexual abuse' and upon saying the word evil tore up a picture of Pope John Paul II and threw it towards the camera. The religious actions of O'Connor are not a mute point to Entertainment world. From her Quaker boarding school, O'Connor went on to be a founding member of the Dublin based band, Ton Ton Macoute, which was highly influenced with mysticism and world music. Prior to the 1992 SNL episode, O'Connor was already very distant from the Roman Catholic Church, clearly an important part of Ireland's cultural heritage. In 1990 O'Connor was ordained by an Independent Catholic group (wishing to be called Mother Bernadette Mary), which led to her being excommunicated from the Catholic church. Her religious schizophrenicness/openness led her to leave music in 2003 to be a catechist (teacher of Catholic religion) and in 2005 she released the album Throw Down Your Arms which Sinead viewed as an activist album inspired by the Rastafarian beliefs that she claimed "Saved her faith." 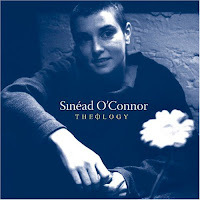 On June 26, 2007 Sinead O'Connor (or shall we say Mother Bernadette Mary Marley) will be releasing an album called Theology . This unsurprisingly religious inspired album is two disk (the Dublin session (acoustic) and the London session (full band). An example of a song on the album is "33" based on Psalm 33 (available currently on her myspace page). This song is very good with only minor contemporizing (I don't think Psalm 33 originally said "turn up your bass amp," but of course who can identify with a "ten string lyre"). Other songs include "Rivers of Babylon" based on Psalm 137, and the Tim Rice/Andrew Lloyd Webber song "I Don't Know How To Love Him" from Jesus Christ Superstar. What do I think? Well, whether it's Kanye West posing as Jesus for Rolling Stones or Lifechurch.tv using Secular Music in Sermons the interaction between faith and music certainly goes both ways just as much today as ever. 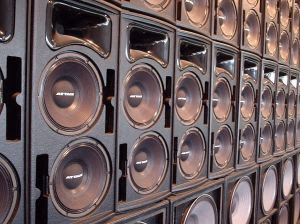 While some people work out their faith through listening to music, some people work out their faith by making music. I can only hope that in the search Truth is found. What I'm paying attention to as the Cannes Film Festival kicks off today. Joel and Ethan Coen's No Country For Old Men will be chosen...is this crime drama (staring Tommy Lee Jones, Javier Bardem, and Woody Harrelson) a Fargo or The Lady Killers? Former Golden Palm winner Gus Van Sant (Elephant), will be premiering his film Paranoid Park about a teenage skateboarder who accidentally kills a security officer. The Yard Director James Gray directs and writes the little talked about film We Own The Night staring recent academy nominees Mark Wahlberg and Jaoquin Phoenix, alongside Hollywood favorite Robert Duvall. Will Cannes help give this film some buzz? Zodiac (David Fincher), and Quentin Tartino's segment from Grindhouse, while they have already had a US release are included in this years competition. Ocean's 13, A Mighty Heart, Michael Moore's upcoming documentary Sicko will both be exhibited at the Cannes, although they are not in the competition. (I'm not sure whether the run-ins that Moore has had with the US Treasury regarding the Cuba segment will effect which cut of the film is shown at the festival). Stephen Frears represents the UK as president of this years festival. Maggie Cheung represents Hong Kong, Toni Collette represents Australia, Sarah Polley represents Canada. Other voters for this years feature film competition come from Portugal, Turkey, Italy, France and Mauritania. Last years Cannes Films that went on to score academy awards and nominations: Babel (7 noms, 1 win), Pan's Labryinth (6 noms, 3 wins), Indigenes (1 nom), Marie Antionette (1 nom, 1 win), Volver (1 nom). Great Book = Best Picture? Does a great fiction novel, well adapted and directed mean it has a good chance of a best picture nod? Sure, acting nods, writing nods, and so forth may come it's way but recent trends suggest great books do not make best pictures. 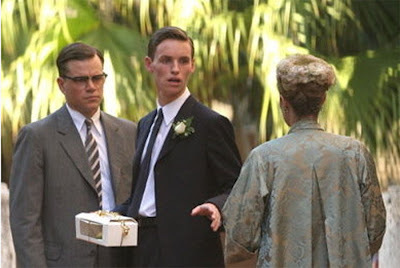 Some recent Academy Award nominees have come from adapted sources including plays (Finding Neverland, Chicago), short stories (Proulx's Brokeback Mountain, and Toole's Million Dollar Baby), and non-fiction books (Letters from Iwo Jima, Capote). But recent feature length films from novels...most of those haven't been making the cut. 2006 best picture nominees: 0 of 5 adapted from a novel. 2005 best picture nominees: 0 of 5 adapted from a novel. It's obvious that novel adaptations do get a chance at the big prize, and have a chance for the win, but it's interesting to me that in the past couple years so few novel adaptations have made the short list. At the same time many early predictions point to great success for various novel adaptations due out this year...could any of these be best picture nominees or are we just looking at some of the potential best adapted screenplay nods? "This Is Such a Good Book!" My wife made fun of me because every time I finished a chapter of The Kite Runner I would say "This is Such A Good Book!" Although I finished reading this book a few weeks ago I have been reluctant to share my thoughts here because this is the type of book you only want to discuss with someone who's read it, for fear of over discussion would take away the reading experience from them. 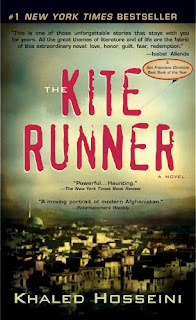 The Kite Runner (written in 2003) is the first published novel by Afghan-American author Khaled Hosseini (actually it's the first novel published in Englished by an Afghan author). The story provides an excellent mini-history lesson on Afghanistan's modern history, but in a way that doesn't bring high expectations to the table. There were certain plot elements and foreshadowings that were very clear to me as I read this book, and yet at the same time I thought I had the entire story figured out Hosseini would throw in the most bizarre twists and turns that although I saw the end in sight I had no idea how I was going to get there. I am excited for Marc Forster's film adaptation of this book which is scheduled for a November 2007 release. I really hope that Forster and his crew (including Khalid Abdalla) do this novel justice and create an artful and entertaining film. Before then...read the book ! Obviously, this is a sequel/trilogy heavy summer, but I'm so done with Shrek. I know adults and children alike love the goofy green guy and his company of merry men, include Donkey, Puss, and Fiona, but I can't believe they plan on making Shrek 4. And it's not just that, but the franchise's quality just seems like it has no where to go but down. The buzz of the day says that Mike Mitchell will be directing Shrek 4...who's Mike Mitchell? 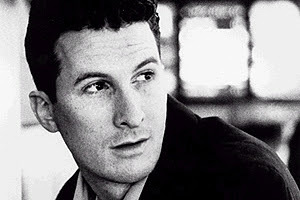 None other than the director of Director of Deuce Bigalow: Male Gigolo, Surviving Christmas, and Sky High. Come on let this thing die...why does Mike Myers, Cameron Diaz, and Eddie Murphy keep on returning to this project? So with the first film about Fiona and Shrek's union, followed by the meeting of the parents, followed by the baby this summer...what's in store for #4 in 2010? Well Cameron Diaz and Julie Andrews are both pushing the 4th installment of Shrek to have an environmentally friendly message...polar ice caps melting? a polluted swamps? Conservative oil men creating wars to secure energy resources? Who knows but whatever the story the director of Duece Bigalow's name gets to be melded with the project...yippee, thanks Dreamworks. Note: The Most Recent Land Before Time movie was #12, The Land Before Time XII: The Great Day of the Flyers...are dinosaurs even cool anymore? I guess as penguins have become more popular, dinosaurs have lost their appeal, perhaps explaining the troubles getting the crew and directors of Jurassic Park IV together. Great Taste Has Its Benefits? What are the benefits to these great taste? So why is "Great Taste Has Its Benefit" the new tagline for Diet Coke Plus? After trying this product my wife and I give it a combined two thumbs down. It's not horrible, but if it's not super cold, it taste chaulky. Makes sense though, because Diet Coke Plus has a low amount of Niacin, B6, B12, Magnesium, and Zinc. 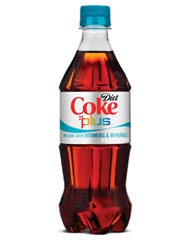 Coca-cola would prefer you call this drink a flavored "sparking beverage," to help loose the stigma of Soda/Coke/Pop to carry the conotation of sugary and unhealthy beverage. So it all starts to collide her on Strange Culture. After a number of post on the X-Files and the supernatural and a couple on Noah's Ark the two streams of thought become one...and on the release day of Spider-Man 3 no less. Columbia Pictures has announced this past week that they are working on bringing the Dark Horse Presents comic (the comic book that launched "Sin City.") entitled The Ark to the big screen. The Ark combines the story of Noah's Ark with extra-terrestrial aliens from outer space. Now how this works I can only imagine...in fact the John Lennon within me is encouraging me to imagine. Imagine: Noah hears a voice in his head...he has been called by God to build a very large Ark in preparation for a world-wide flood, in fact he can't get the idea out of his head, it's as if his body has been taken over. As Noah goes about gathering wood he finds a strange metallic piece of metal buried under some dirt and begins to become overly curious about this underground world. like John Locke (Terry O'Quinn) on Lost, Noah discovers that this is an underground hatch where Aliens from outer space have been waiting to make their return home. Instead of calling home, they have infiltrated Noah's mind so that he would build a giant boat-like spaceship that will take them back to their planet, along with a specimen of every living creature on the earth. 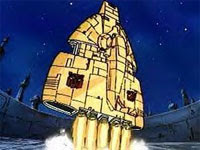 As Noah finishes the space-boat he also begins to discover the truth, but it is to late. Noah hides his family in the boat to protect them from what Noah knows is coming. As the space boat takes off, the aliens do something that would completely outrage Al Gore and Leonardo DiCaprio. The aliens have aligned a giant shard of inter-galactic crystal between the sun and the north pole to create a beam of light and heat that instantly begins melting the polar icecaps creating world wide flooding. Although it's too late to save the world, Noah can save his family from the dangers of being caged up Slaughter-House-5-style in outer space. Noah fights back by releasing key animals from their cells, and while Noah, Mrs. Noah and kin attack the aliens while riding the backs of a rhino, tiger, moose, and wild boar. The Noah's win and return to earth, docking on top of Mt. Ararat. Although it is too late to save humanity, Noah and his family are safe in a brave new world. 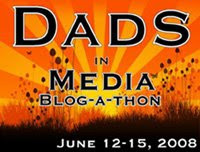 Mike Richardson and Mark Verheiden, if you have any story board problems with this project, give me a call. Dutch Christian Johan Huibers is the real Evan Almighty. 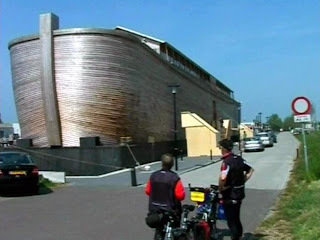 In 1992, he had a dream that Holland was flooded and soon after found a book on Noah's Ark, and since then had the dream to build a replica of Noah's Ark. He began construction in 2005. A contractor by trade, Huibers built the ark out of cedar and pine, and at the length of two thirds of a football field and three stories high, it is still five times smaller than the dimensions of the ark in the Bible. The Ark is docked in Schagen, Netherlands and is filled with life-sized models of giraffes, elephants, lions, zebras, and so forth. Huibers hopes this ark he has built will rekindle an interest in Christianity in the Netherlands. "One American visitor said the ark had a great relevance today with all the controversy surrounding global warming." Thinking about Noah, it struck me when I read a post on Run With God were one of Jeff's readers suggested that when we experience "bad luck"/evil/chaos than that means someone else is experiencing good because Satan's powers are finite. Okay, a thought like this makes me think of an Ethan Hawke/Julie Deply Before Sunrise conversation about old souls/new souls and re-incarnation. Does this concept mean that the larger the world population the more dilute Satan's power is because He and his minions can only concentrate on so many people at a time? Some people would assume that the population of the world pre-flood could have been as much as 5-17 billion people based off Biblical geneologies and a number of assumptions. And if this is the case, and the bible would read "that every inclination of the thoughts of his heart was only evil all the time." (Genesis 6:5, emphasis mine). I would propose that even if Satan's power is finite, than it's about as finite as the one might count the number of oxygen molecules in the universe is finite. I think it's unhealthy and dangerous to focus on completly knowing and understanding Satan/evil/demonic forces. It'd be like meeting Jack the Ripper, Ed Gein, Charles Manson, or Jeffery Dahmer and wanting to get to know them better. A fascination with evil is unhealthy and dangerous in my opinion. If you know it's bad, run! I guess that's what makes me a little unsettled about upcoming films that place Satan in the role of protoganist like War in Heaven, Paradise Lost, and I, Lucifer. Film-maker of the bizarre and gritty, Darren Aronofsky (Requim for a Dream, Pi, The Fountain), recently has mentioned a future project he would like to do over Noah. Yes, Noah as in Noah's Ark. "Noah was the first person to plant vineyards and drink wine and get drunk," he says admiringly. "It's there in the Bible - it was one of the first things he did when he reached land. There was some real survivor's guilt going on there. He's a dark, complicated character." While this project if it is ever made is certainly a long ways off...it certainly is an intriguing thought of Aronofsky written Noah story. Only twice has two actresses been nominated for academy awards for playing the same character in the same film. In 1998 Kate Winslet and Gloria Stuart both received nods for playing Rose in Titanic. In 2002 Kate Winslet and Judi Dench both received nods for playing Iris in Iris. 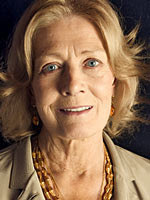 Already, people are buzzing about two films staring the 6 time Oscar nominee (and winner) Vanessa Redgrave, and each film she plays the older-incarnate of a main character. In Evening, Claire Danes playes the younger version of a dying Vanessa Redgrave. In Atonement, Saoirse Ronan plays 13 year old Briony Tallis, Ramola Gairi plays 18 year old Briony, while Vanessa Redgrave plays the eldest version. Now could the trend of double nods for the same character at different ages occur again. Well, Kate Winslet isn't in either films, BUT like Rose and Iris, Briony is a floral derivitive of the small white Bryony vine. So if say Redgrave and Ronan/Gairi both picked up nods (even if both in the supporting actress catagory) then all three occurance would be with characters playing flower names...now that, would be a random stat. Whether or not a double-nod of this nature occurs, it seems like alraedy early in the season Redgrave is getting buzz and is one to watch out for in the upcoming award season. I know I'm watching out for Redgrave.